toyGuitar to play realGuitars at the Fat Record Store! Plus new song! Pssst, in case you missed it, toyGuitar is playing our warehouse next Friday, January 30th! Seeyathere. The real nugget today is that we have a new toyGuitar song premiering at New Noise titled, “Is It True?” from their upcoming full-length, In This Mess. Listen to it here! Then head over and pre-order your copy today. 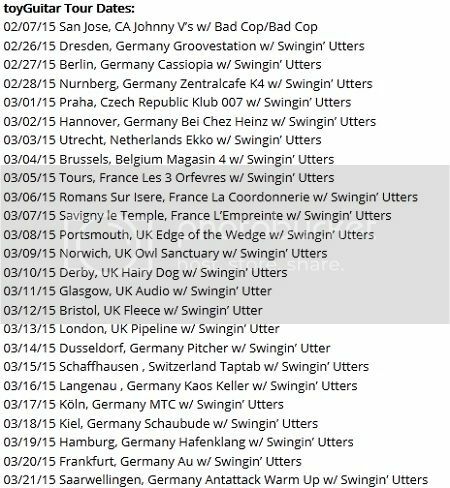 They’ll be embarking on a massive European tour with label mates Swingin’ Utters next month; don’t miss them!